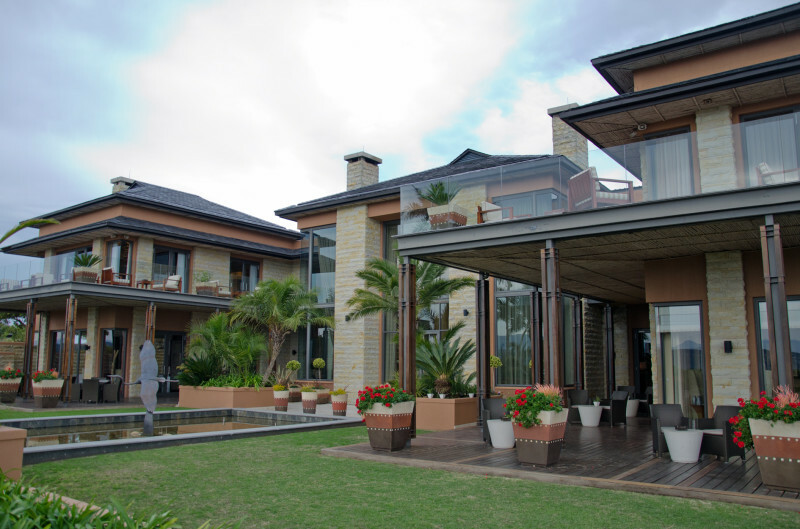 Everyone coos over the Garden Route – with good reason too. 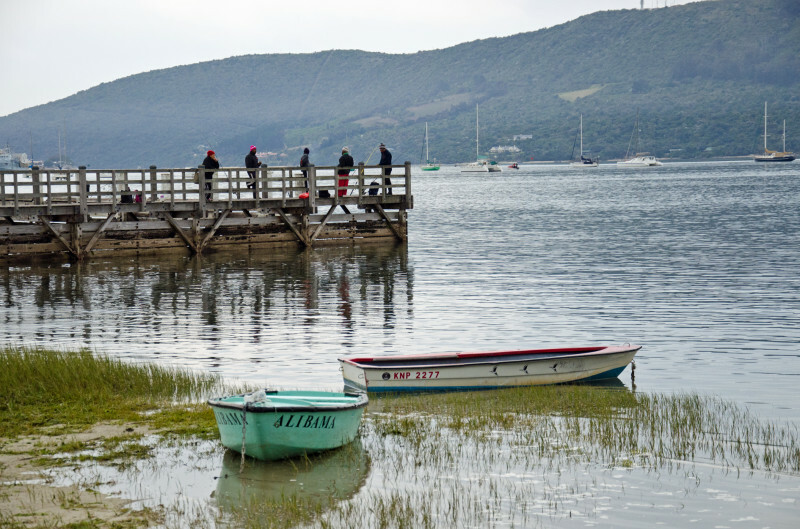 If you’re visiting, here’s my visitor’s guide to Knysna. Even repeat visitors may find something new to enjoy here. 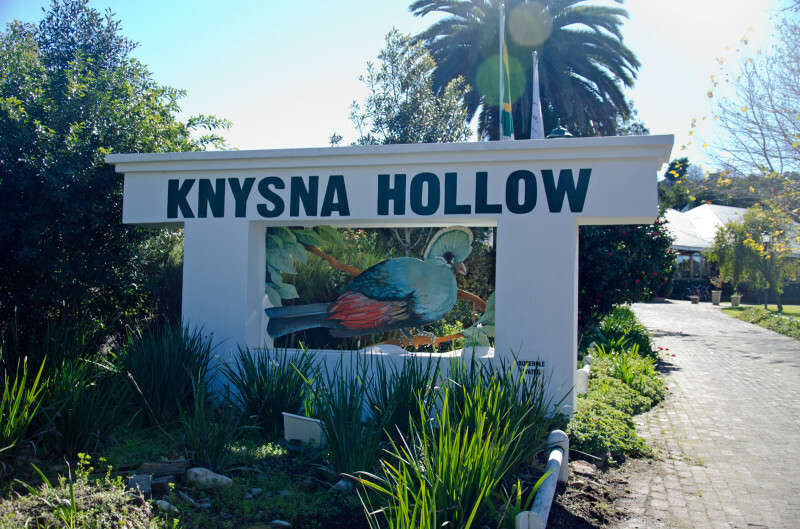 Having its origins in the Khoi language, Knysna is said to mean “fern” or “place of wood”. The meaning hasn’t quite been pinned down, but the town is certainly resplendent in both. In author Dalene Matthee’s Circles in the Forest, an iconic work that has become representative of the town and its rich forest and indigenous fern heritage, one comes to understand the possible link to the Khoi word. 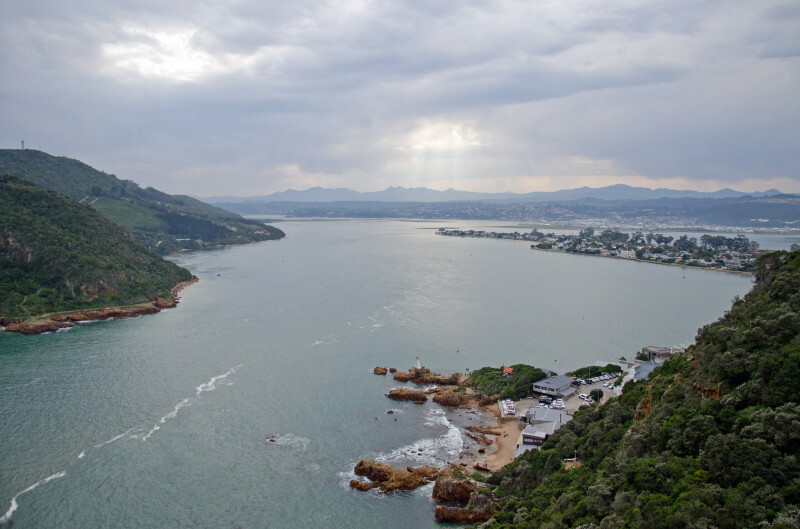 Knysna (pronounced Nize-nah), is situated within 157 000 hectares of the Garden Route National Park and is flanked by the estuary of the Knysna River and the Indian Ocean. A coastline and dense forest provide vast and varied flora, fauna and marine life abundance. A small town, with a population just under 52 000, it is famous for the variety of outdoor activities including hiking, diving, fishing, canoeing, whale watching, mountain biking, as well as its wild and cultivated oysters. The popularity of the latter culminates in an annual oyster festival run over weeks, with the highlight being a “best dressed” oyster competition for local restaurants as well as a contest to eat the most in a minute – I’m too afraid to consider the number of juicy molluscs that have met their fateful end this way though. Take a leisurely trip on a ferry across the lagoon to the heads, sandstone cliffs that separate the lagoon from the ocean. Or rev it up with a catamaran ride that sails out into the ocean. The heads are known to have thwarted many a rambunctious sailor – as a result Knysna is known as one of the most dangerous ports in the world. However, a slow-paced cruise on the lagoon, enjoying snacks and views on a summer day is one of the loveliest introductions to the town. You can opt for an oyster experience or a sunset cruise with bubbly too. Only accessible by ferry, this private nature reserve on the western head displays wonderful views and offers insight into local history. Guides take guests on a 1.3-mile walk and eco experience down the coastal forest to ancient sea caves. The terrain is surrounded by Cape fynbos and lunch can be enjoyed at the popular Cruise Cafe – it’s well known for its seafood and wine list. Tracing the steps of the words and characters in Dalene Matthee’s novel that highlights the plight of the forest elephants and the exploited woodcutters, as well as the forest itself, the dense rainforest provides an enchanting playground. You can follow the clearly marked signs yourself, or take a guided tour with a handful of approved guides. You will encounter old mining tunnels, woodcutter pits and may spot buck, bush pigs and the glorious green Knysna loerie bird. There are pleasant waterfalsl and a rock pool as well. Meagan Vermaas is a highly recommended guide and one of the few approved by the Mathees. She also offers unique healing forest massages. 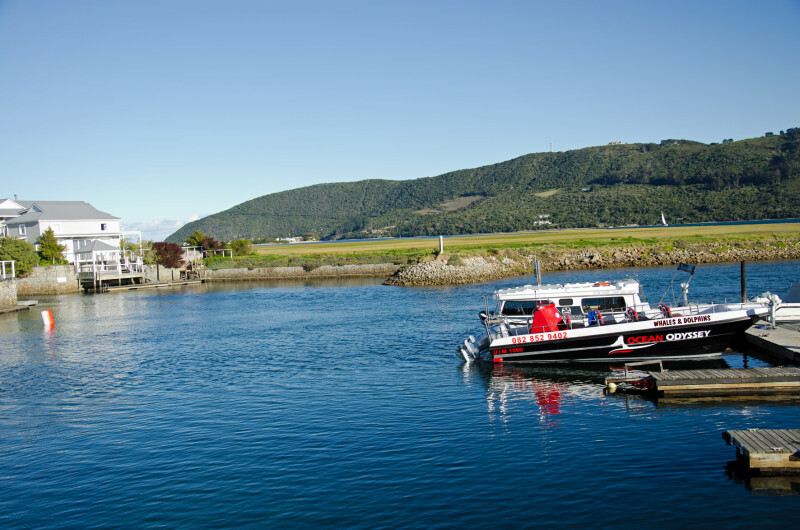 Hop on a small boat that ventures out to sea to spot whales during the July – December season. The local Bryde’s whale is a local resident and during season southern right and humpback whales can also be seen up close. The boats are allowed to approach within 50 meters of the whales and the whales often get even closer – be prepared to get wet and get those waterproof cameras and go-pros out. If you suffer from seasickness though – be warned, it gets rough. Only one supplier has been granted a permit to conduct this activity in Knysna. You’ll be warmly welcomed by the Judah Square Rastafarian community in Khayeletu South township. The largest community of Rastafarians in South Africa, this enterprising community has risen in stature from an informal settlement in 1993 into a formal one with a emphasis on making the community sustainable. A tour with the warm and eccentric Brother Zebulon, who recites heartfelt poetry as he sets to educate you about the community and way of life is a fascinating experience. You can stay over at Sista Keri’s B&B – backpacker bunk-style accommodation as well. 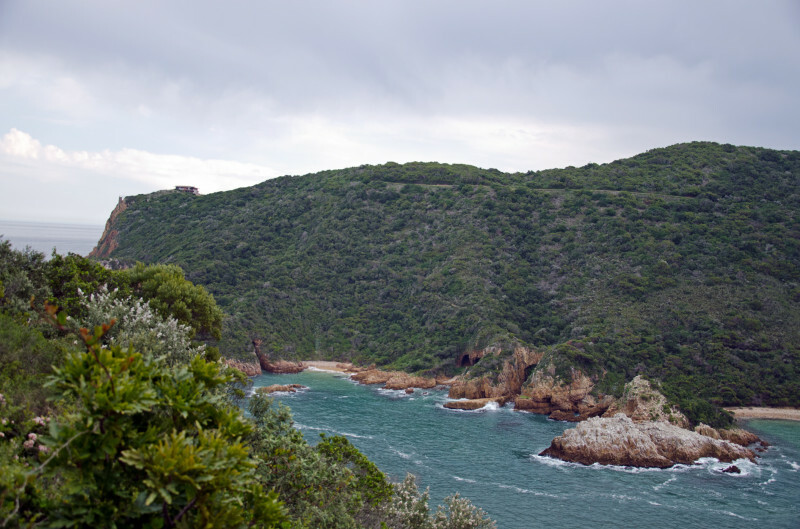 A secluded cove not far from Knysna, Noetzie offers quiet beaches, an estuary and opportunities for bird and fauna gazing. Holiday homes built in the fashion of castles add to the intrigue. While the waters of the Noetzie River are dark and still, the waves crashing over the rocks are wild and lively. Fishing opportunities present here. Championship rate golf courses welcome both the competitive and recreational golfer, set on breath-taking grounds. Knysna really does offer some of the best in the country. 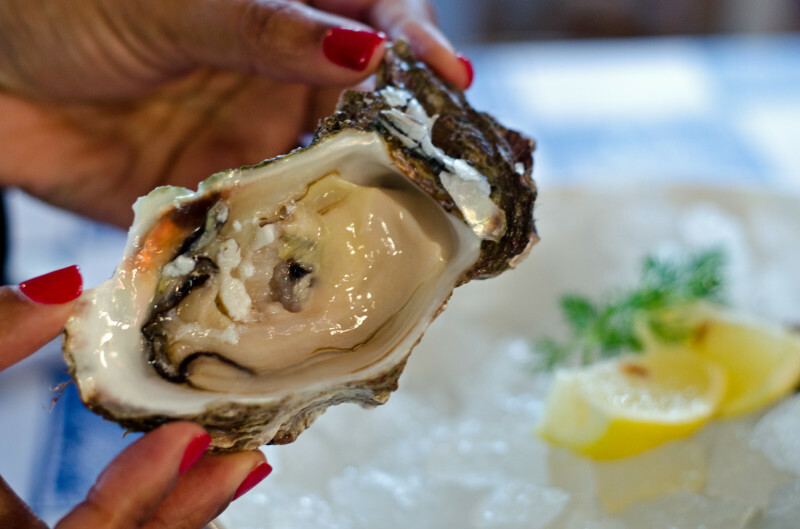 Known for its cultivated and wild oysters, you can’t leave the town without trying a few plates. The local restaurants spend a year perfecting their recipes for the perfect dressings that will enhance the succulent, briny little bivalves. 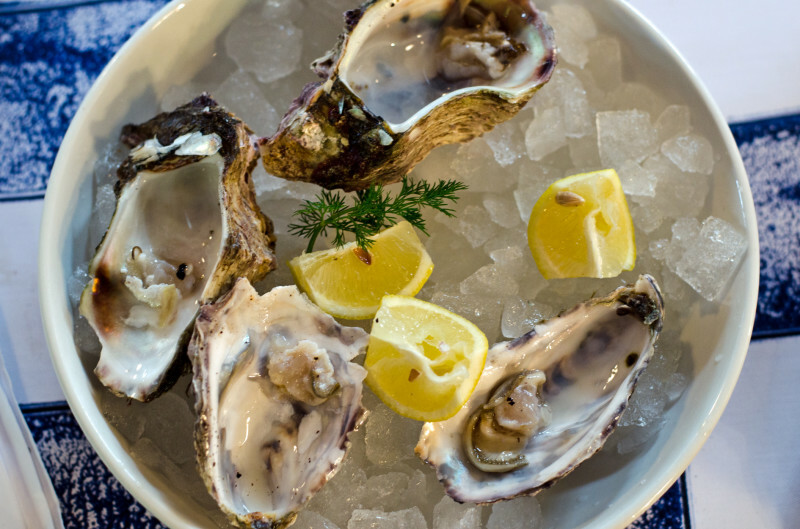 They compete head-to-head at the annual Knysna Oyster festival for the best-dressed oyster. Naturally, plain is also utterly sublime. Personally I prefer a squeeze of fresh lemon or just a drop of Tabasco with mine, but expect to find some wacky creations like molecular gastronomy lemon bubbles and hay-smoked oysters. Even deep-fried oyster doughnuts. Expect to find oysters far cheaper here than in the big cities. Connect with Penny and Ella who will take you into their world and homes on a very personal tour. They contribute to upliftment in the community as well – from the welfare of the local dogs to fostering children. You really shouldn’t leave town without experiencing this tour. Just outside Knysna are a host of activities that are easy to drive to. If adrenaline rushes are your thing – this one’s for you. I can’t comment personally, having an acute fear of heights, but friends who have done this, have raved about the experience. There are several charms to this certified “slow town” from hikes to dune walks and views from Gerricke’s Point where paragliders take off. 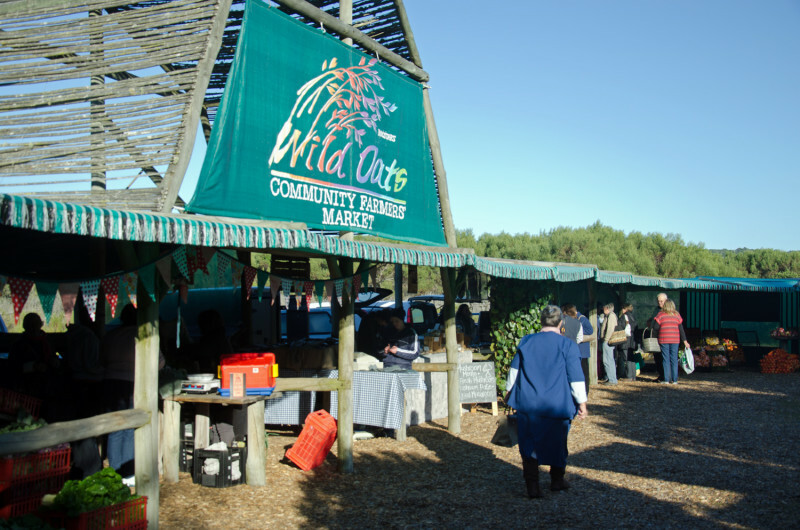 The Wild Oats farmer’s market on a Saturday draws in crowds from all around, for good reason – the produce is excellent. This delightful winding forest drive will lead you to artists, quaint accommodation spots and artisans galore. A blue-flag beach on the western side of the lagoon that offers opportunities to spot dolphin, whales and enjoy long walks, as well as guided sand boarding on the dunes.